gallery photo posted by deLuxBuLLi Welcome to kingsnake.com's Other Frog & Toad Classifieds. This section is for posting wanted and for sale ads for any and all species of frogs and toads that do not have their own category. If you are looking for, or want to post ads for other reptiles and amphibians and supplies please review our classified index for the appropriate category. 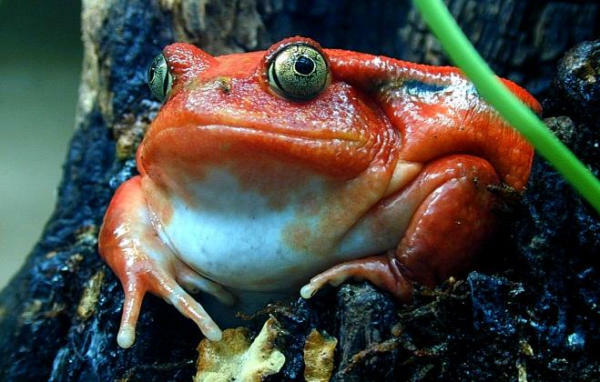 Frogs and toads are amphibians in the order Anura whose distribution of ranges from tropic to subarctic regions, but most species are found in tropical rainforests. Consisting of more than 5,000 species described, they are among the most diverse groups of vertebrates. Typically laying their eggs in puddles, ponds or lakes, their tadpoles have gills and develop in water. For questions on keeping or breeding Tree Frogs please check out the Frog Forum, or to look at photos uploaded by users or to upload your own, check out the Frog Photo Gallery.